ZigZag Editions designs and manufactures its own games and toys, products under official licenses! initiated by our fans and for our fans, the Zag Toys brand is a creator of clothes & textile items, decoration and everyday objects in the universes of manga, cinema, TV series, video games, comics and cartoons. 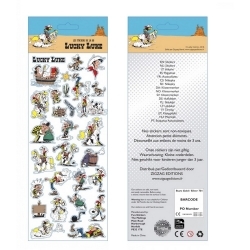 Decorate your everyday objects with these Lucky Luke stickers. Board of stickers (31x11cm) on the Lucky Luke theme (V2). 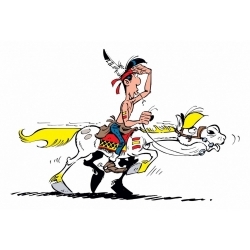 Decorate your everyday objects with these Lucky Luke stickers. 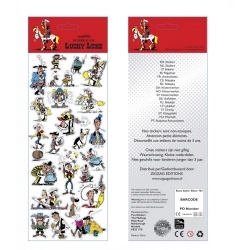 Board of stickers (31x11cm) on the Lucky Luke theme (V1). This Gaston Lagaffe magnet will raise even the most modest fridge to the heights of chic! 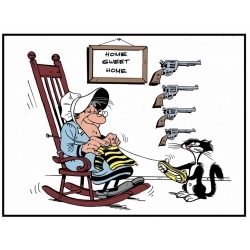 Gaston Lagaffe and Mlle Jeanne on holiday. 79x55mm. 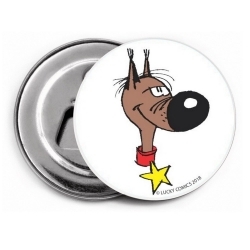 This Gaston Lagaffe magnet will raise even the most modest fridge to the heights of chic! In his car. 79x55mm. This Gaston Lagaffe magnet will raise even the most modest fridge to the heights of chic! C'est à dormir debout. 55x79mm. 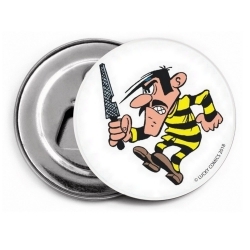 This Gaston Lagaffe magnet will raise even the most modest fridge to the heights of chic! Sleeping with his cat. 55x79mm. 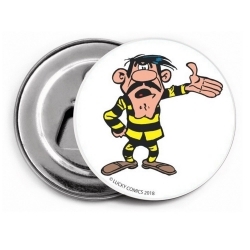 This Gaston Lagaffe magnet will raise even the most modest fridge to the heights of chic! Giant. 55x79mm. This Gaston Lagaffe magnet will raise even the most modest fridge to the heights of chic! with his giraffe. 55x79mm. 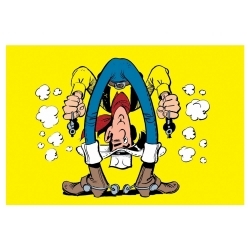 This Gaston Lagaffe magnet will raise even the most modest fridge to the heights of chic! With his cat and seagull. 55x79mm. 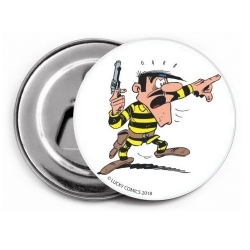 This Gaston Lagaffe magnet will raise even the most modest fridge to the heights of chic! Les étoiles sont belles mais ma star c'est toi ! 55x79mm. This Gaston Lagaffe magnet will raise even the most modest fridge to the heights of chic! ZZZZ... Urgent. 55x79mm. This Gaston Lagaffe magnet will raise even the most modest fridge to the heights of chic! Urgent mail. 79x55mm. This Gaston Lagaffe magnet will raise even the most modest fridge to the heights of chic! Carrying the letter. 55x79mm. This Gaston Lagaffe magnet will raise even the most modest fridge to the heights of chic! Boah! 55x79mm. This Gaston Lagaffe magnet will raise even the most modest fridge to the heights of chic! M'enfin!? 55x79mm. This Gaston Lagaffe magnet will raise even the most modest fridge to the heights of chic! Origine. 55x79mm. 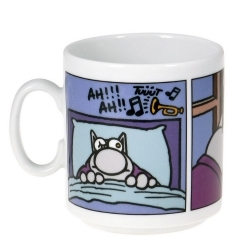 High quality ceramic mug The Cat: Café empêche de dormir. Ideal for a gift! Compatible with microwave and dishwasher. The breakfast will be much more fun if you're a fan of The Cat comics. The cup is official, licensed and made of ceramic with a capacity of 300ml. 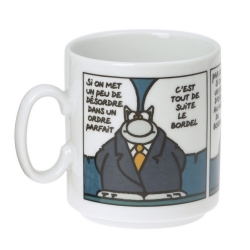 High quality ceramic mug The Cat: Si on met un peu de désordre dans un ordre parfait. C'est tout de suite le bordel. Ideal for a gift! Compatible with microwave and dishwasher. The breakfast will be much more fun if you're a fan of The Cat comics. The cup is official, licensed and made of ceramic with a capacity of 300ml. 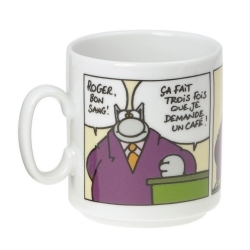 High quality ceramic mug The Cat: Roger, bon sang! Ça fait trois fois que je demande un café! Ideal for a gift! Compatible with microwave and dishwasher. The breakfast will be much more fun if you're a fan of The Cat comics. The cup is official, licensed and made of ceramic with a capacity of 300ml. 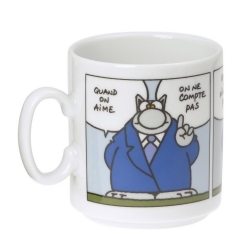 High quality ceramic mug The Cat: Quand on aime, on ne compte pas. Ideal for a gift! Compatible with microwave and dishwasher. The breakfast will be much more fun if you're a fan of The Cat comics. The cup is official, licensed and made of ceramic with a capacity of 300ml. 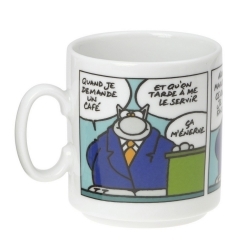 High quality ceramic mug The Cat: Quand je demande un café et qu'on tarde à me le servir, ça m'énerve. Ideal for a gift! Compatible with microwave and dishwasher. The breakfast will be much more fun if you're a fan of The Cat comics. The cup is official, licensed and made of ceramic with a capacity of 300ml. 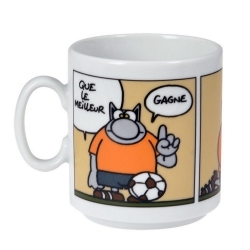 High quality ceramic mug The Cat: Que le meilleur gagne. Ideal for a gift! Compatible with microwave and dishwasher. The breakfast will be much more fun if you're a fan of The Cat comics. The cup is official, licensed and made of ceramic with a capacity of 300ml. 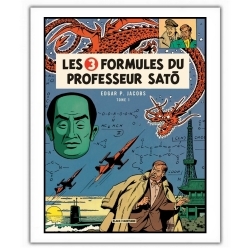 Poster offset Blake and Mortimer, Les Trois Formules du professeur Satō T1. 28x35,5cm. 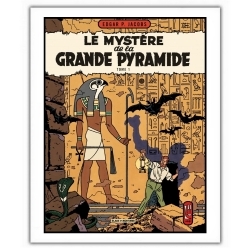 Poster offset Blake and Mortimer, Le Mystère de la Grande Pyramide T1. 28x35,5cm. 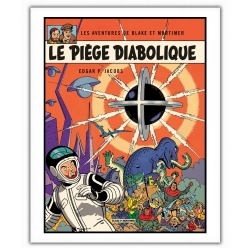 Poster offset Blake and Mortimer, Le Piège diabolique. 28x35,5cm. 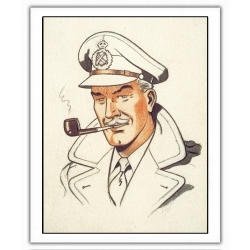 Poster offset Blake and Mortimer, Philip Mortimer. 28x35,5cm. 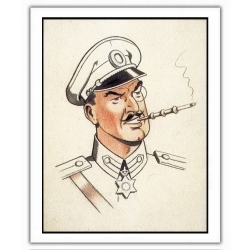 Poster offset Blake and Mortimer, Olrik. 28x35,5cm. 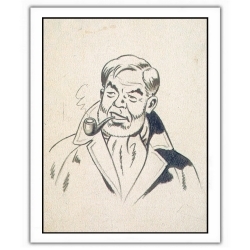 Poster offset Blake and Mortimer, Francis Percy Blake. 28x35,5cm. 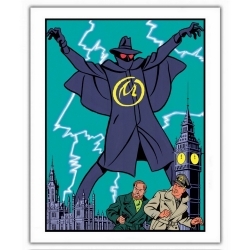 Poster offset Blake and Mortimer, The Yellow Mark. 28x35,5cm. 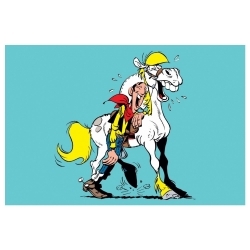 This Lucky Luke magnet will raise even the most modest fridge to the heights of chic! Rantanplan. 55mm. 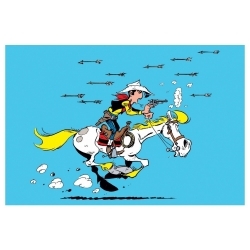 This Lucky Luke magnet will raise even the most modest fridge to the heights of chic! Joe Dalton with a gun. 55mm. 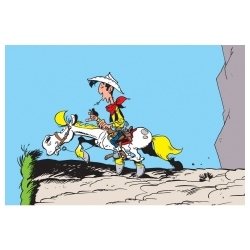 This Lucky Luke magnet will raise even the most modest fridge to the heights of chic! Joe Dalton. 55mm. 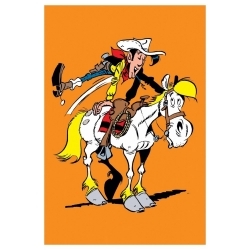 This Lucky Luke magnet will raise even the most modest fridge to the heights of chic! Joe Dalton with a lime. 55mm. 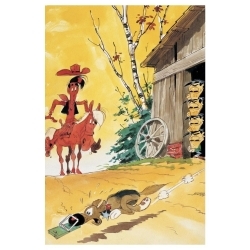 Postcard Lucky Luke collection: Rantanplan caught in the mousetrap. 10x15cm. 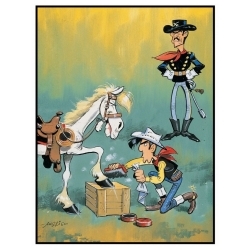 Postcard Lucky Luke collection: Waxing the hooves of Jolly Jumper10x15cm. Postcard Lucky Luke collection: Riding On Jolly Jumper. 15x10cm. Postcard Lucky Luke collection: Shooting Upside Down. 15x10cm. 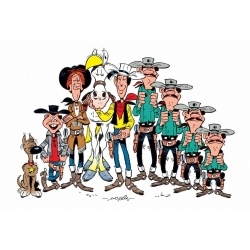 Postcard Lucky Luke collection: Characters. 15x10cm. Postcard Lucky Luke collection: Lucky Luke & Jolly Jumper laughing. 15x10cm. Postcard Lucky Luke collection: Lucky Luke and Jolly Jumper in the abyss. 15x10cm. 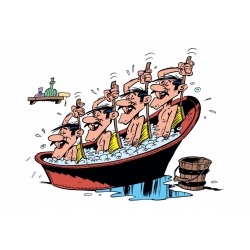 Postcard Lucky Luke collection: The bath of the Dalton. 15x10cm. 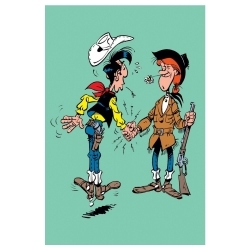 Postcard Lucky Luke collection: Lucky Luke and Calamity Jane handshake.10x15cm. Postcard Lucky Luke collection: Ma Dalton knitting. 15x10cm. 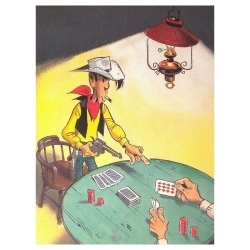 Postcard Lucky Luke collection: Lucky Luke Poker. 10x15cm. Postcard Lucky Luke collection: Jumping in Jolly Jumper. 10x15cm. 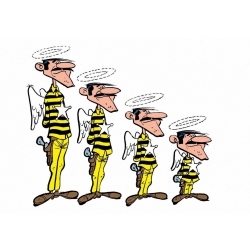 Postcard Lucky Luke collection: The Dalton's angels. 15x10cm. 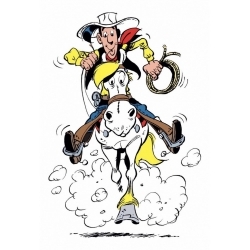 Postcard Lucky Luke collection: Galloping with Jolly Jumper. 10x15cm. Postcard Lucky Luke collection: Attacked with Indian arrows. 15x10cm.